Kingsbarns Distillery and Visitor Centre officially opens its doors!! Glenfiddich The Original, a unique taste of single malt history. 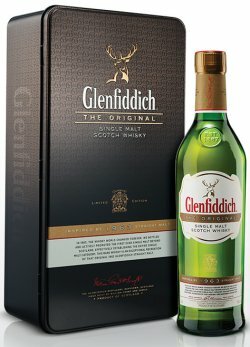 Glenfiddich The Original is a unique limited edition expression which was inspired by the Glenfiddich 1963 Straight Malt, the first ever single malt to be actively marketed internationally, effectively establishing the entire single malt category we know today. Glenfiddich The Original is a reproduction of the original Glenfiddich Straight Malt, it has been reproduced by Glenfiddich’s Malt Master, Brian Kinsman. Glenfiddich tell me that Brian has replicated a true taste of history. By skilfully nosing and tasting the original 1963 sample and following the original recipe from one of Glenfiddich’s 1960s leather bound ledgers; he has exactly reproduced its celebrated fresh and fruity taste. This release is an exclusive addition to the family run distiller’s collection of whiskies and will be available exclusively in the US, Australia and Taiwan in 2014. This is a unique reproduction of the single malt whisky which changed the whisky world for ever back in 1963. Sandy Grant Gordon and Charles Grant Gordon, following in the footsteps of their pioneering forefathers, took the bold decision to launch Glenfiddich Straight Malt – the term used to describe single malt – worldwide, something no other distiller had done before. Previously blended whisky dominated the market and single malt was only available on request to very few in the know. Now a new whisky category was born and for the first time it was available worldwide. 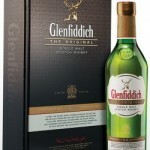 The heritage of Glenfiddich The Original is reflected through the bottle and packaging. Presented in the iconic triangular bottle which we are now so familiar with, the bottle is in a classic black presentation box embossed with gold. The limited edition expression also comes with a booklet that details the whisky’s rich history, making Glenfiddich The Original a unique experience for single malt aficionados. Bottled at 40% ABV it is now available from specialist whisky retail outlets and premium establishments in the US, Australia and Taiwan, with a recommended retail price of . Nose: A fruity, floral aroma with the hallmark Glenfiddich hint of pear. Subtle oak notes and a youthful biscuity character. Taste: Pleasantly sweet with lively fruit notes and a soft vanilla oakiness. The flavours develop with the addition of a little water and to reveal delicate spices, citrus and fresh baked oatcakes.